Reminisce is an electrically vibrant Ultra Chrome, full of life, with a glow to it that you have to see to believe! 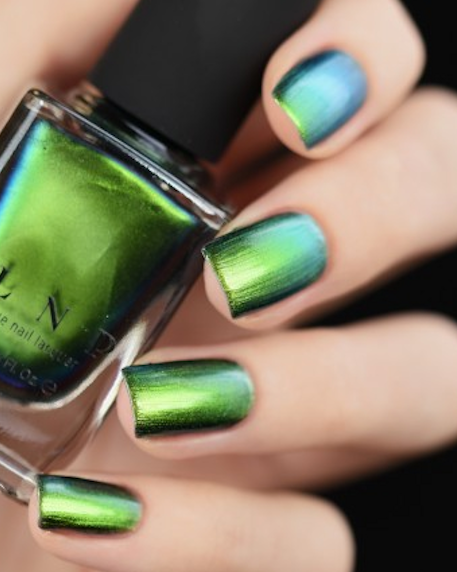 It shifts from hues of stunning greens to refreshingly cool blues (you may even catch subtle hints of gold occasionally) depending on the angle of your fingertips and the type of lighting you’re under. 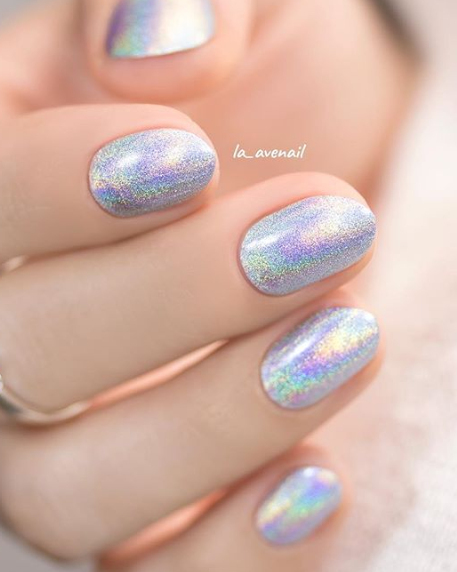 Reminisce is part of ILNP’s “Ultra Chrome” class of multichromatic nail polishes; formulated to apply directly to the nail without the need for a base color. Fully opaque after 2 coats! 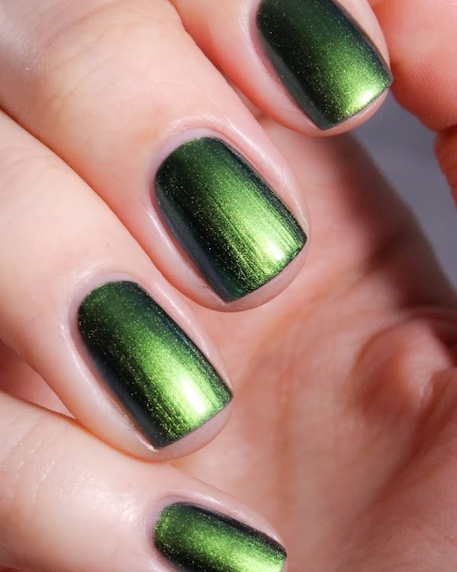 Beautiful bright green duo chrome that shifts to blue. 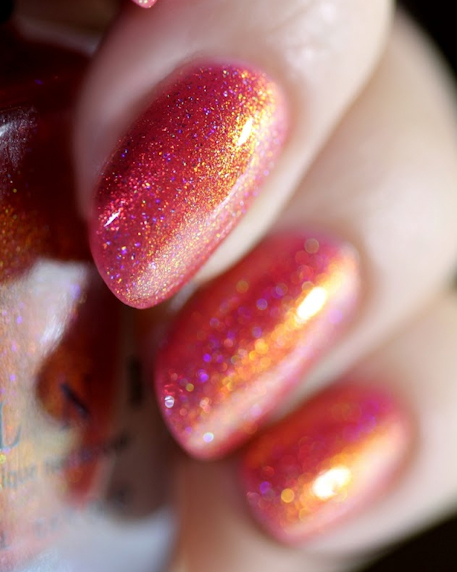 Very pigmented, and opaque in two coats, without the need for a black base coat. Lizard nails in the best possible way! 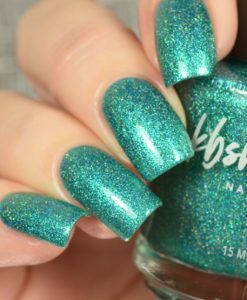 This is a bright grassy green that shifts through different shades of green, teal and aqua at extreme angles. 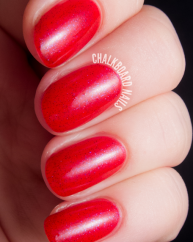 It is not as shifty as some of the other ILNP multichromes (try Birefringence if you want something that will knock your socks off with its shiftiness) but the colour is beautiful and the shift is still there. The green neither cool nor warm and as such I think will look good on all skin tones. 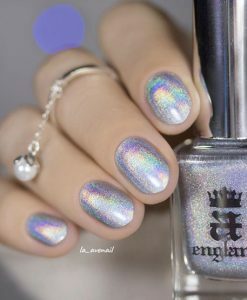 Formula is good, very easy to work with, you should get this opaque in 3 thin coats (2 if you do thicker ones) and it is relatively non-streaky for a multichrome. 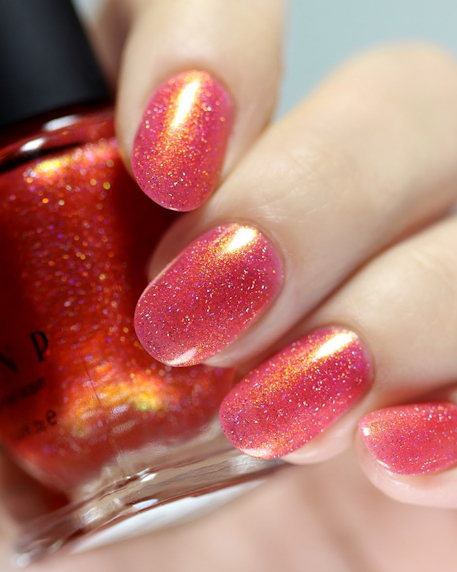 I would recommend this polish.